Quantification of methane sources and sinks at global and regional scales requires the application of both new and established atmospheric chemical transport and terrestrial modelling techniques. The modelling work in this project will build on previous NERC projects such as MAMM, GAUGE and GREENHOUSE. 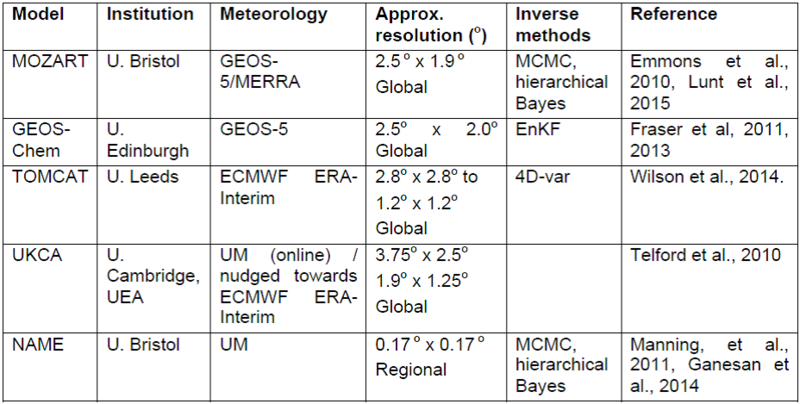 The MOYA team recently published findings on the recent and unexpected rise in global atmospheric methane from research using a 12 box model, here is the press release. A summary of the chemical transport models and inverse methods being used in MOYA are listed below. Below are a few video simulations from this work.